Russia and Azerbaijan have a great potential for the development of bilateral cooperation in the industrial sector, Russian Minister of Industry and Trade Denis Manturov told reporters at a briefing in Baku on April 4, AzVision.az reports. "The delegation, including the representatives of the companies operating in different spheres, which we have created, potentially reviewed the Azerbaijani market,” the minister said. “Most of these companies would like to increase supply volumes and create joint ventures." “Azerbaijan and Russia could arrange export to third countries by reducing logistics costs, taking into account Azerbaijan’s strategic location in the region,” he said. 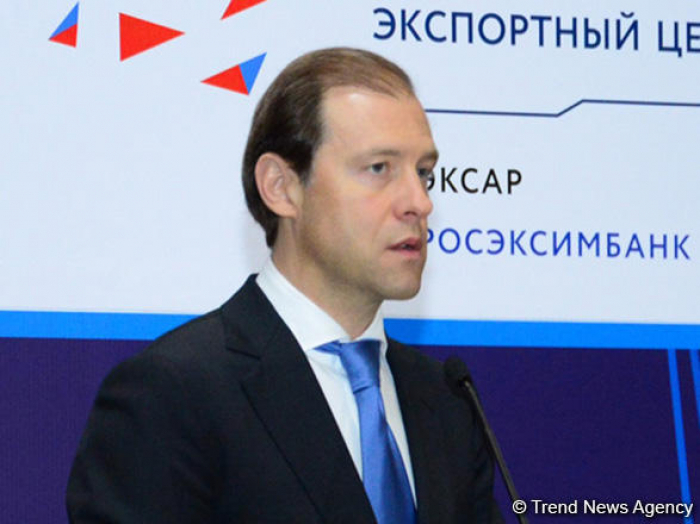 Manturov stressed that a meeting is planned to be held with Azerbaijani partners within the Innoprom industrial forum in Yekaterinburg, Russia in early July. “The dialogue with those companies with which it is planned to work out the projects that have been discussed at today's forum in Baku to sum up a certain result and help the companies find a solution to ensure the state support measures, including financial support, will be continued within the forum,” he said.